We want so much for our kids’ holiday booty: toys that provide fun, of course, but also learning and maybe a dash or two of parental nostalgia. This is our lucky year, it turns out. In 2015, hot holiday toys are skewing toward science and math education; collectibles that include some nods to parents; and goofy whole-family play. Ali Mierzejewski, senior editor of toy review website The Toy Insider, expects the white-hot STEM toy trend to be counterbalanced by a renewed interest in old-school unplugged toys, new offerings in the popular maker toys category and an explosion of Star Wars toys. What might be right for your family? Here’s a list of cool toys and kits that kids want, right now — many of which parents will be excited about, too. 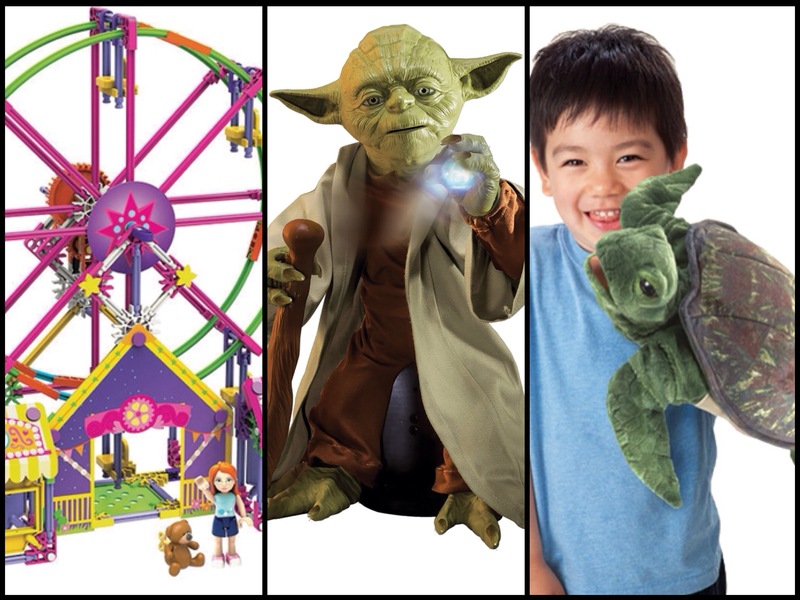 The Dec. 18 release of Star Wars, Episode VII: The Force Awakens is triggering an avalanche of themed playthings, including many that span multiple age ranges and promote parent-child play. 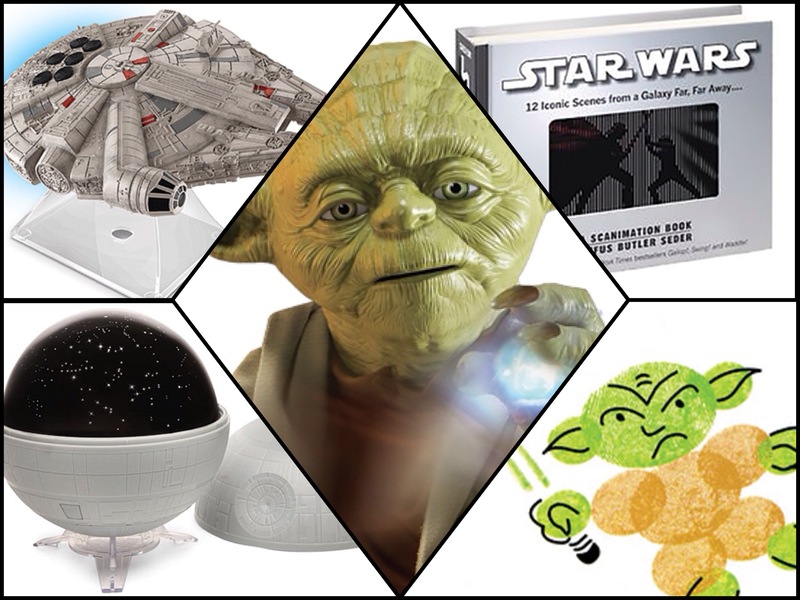 “The great thing about these toys is that parents who are Star Wars fans usually love playing with them just as much as kids do,” notes Mierzejewski. Is your 4-year-old getting in on the Star Wars craze? If so, this sturdy board book should delight: Star Wars: 11 Scenes from a Galaxy Far, Far Away features holographic photos that shift and shimmer as the page moves. Look for images of an exploding Death Star, the Millennium Falcon zooming through space and of course, Yoda holding a glimmering green light saber. If you’re looking for a galaxy-size splurge for your young Jedi master, check out this remarkably realistic Yoda action figure. Standing 16 inches high, it speaks 115 phrases, and features full voice recognition and a 360-degree range of motion. Fans of the Dark Side can also check out the animatronic Darth Vader from Thinkway Toys ($130), a 17-inch robotic action figure that switches from battle to training mode, has 31 points of articulation (movement) and includes lifelike movie sound effects. Take a ho-hum bedtime out of this world with this gift, which lets you turn your kid’s bedroom ceiling into a replica of the Star Wars galaxy. An Earth galaxy mode allows users to switch back and forth, comparing the two galaxies and building science knowledge and vocabulary. Parents can stretch out on the floor with kids and brush up on their planet proficiency. “This is a toy that parents love, too,” says Carole Nolasco, buyer/merchandiser for Seattle’s Top Ten Toys. Star Wars toys don’t have to be high tech, robotic or pricey, says Sarah Furstenberg, owner of Clover Toys in Ballard. This one fuses art and a Star Wars theme, allowing kids to create characters that begin with a thumb print. The simple concept means even young grade-schoolers can carry out the craft relatively independently. This high-quality collectible looks great on a desk or dresser, says Mierzejewski of The Toy Insider, but that’s only part of its appeal. Approximately 10 by 10 inches, this lithium-battery-powered speaker plays the Star Wars theme and wirelessly streams calls and audio from as far as 30 feet away, featuring clean, clear sound and a blue light that illuminates when in use. The latest twist on STEM toys includes science and engineering toys for the pre-K set and classic wooden toys with retro appeal that pack surprising math and science lessons. And building kits are hotter than ever. “They play into what we call the ‘construction with function’ toy trend,” says Mierzejewski of The Toy Insider. “Building toys are adding more moving parts to up the play value, with working doors, expanding bridges and more function to keep kids engaged even longer.” With plenty of cold, wet Northwest winter days on the horizon, that’s a win. Introduce tots to engineering, physics and problem solving with this basic expandable ball and track set. Furstenberg of Clover Toys loves this set for its enduring multi-age appeal. “The intro set comes with larger wooden balls safe for age 1 and up, but there are tons of really cool add-ons that make it appealing up to age 10.” Couple this set with the My First Ball Track Ball Ramp, and build the set with other HABA ball track sets, including the Chatter Ball Track set, the Clamps and Ramps set, and the Marble Ball Track Set for kids ages 4 and older. State-fair season may be months away, but young builders can keep busy until then with this 324-piece set that features three different math and engineering builds: a working Ferris wheel, a pirate ship ride and a boardwalk game. Once construction is complete, kids can decorate and accessorize the rides, and purchase snacks and tickets at the booths. 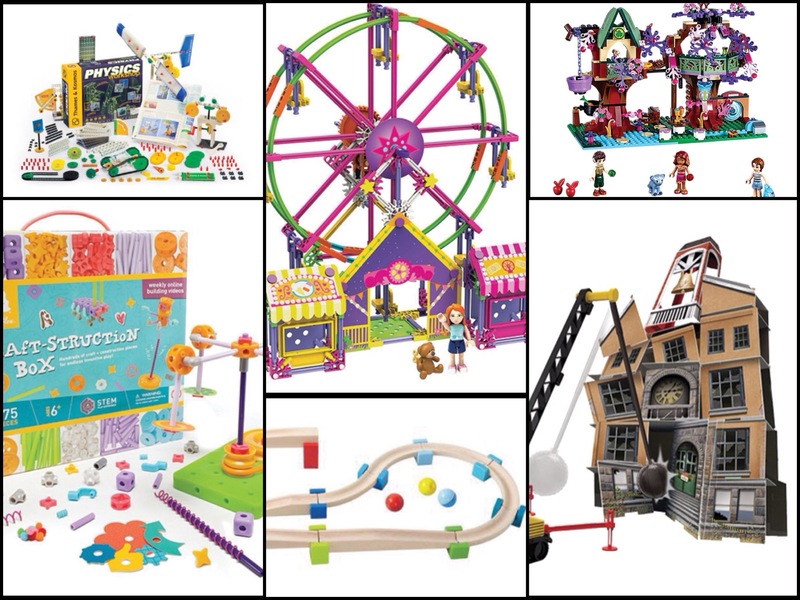 With an intricate, whimsical design that appeals to boys and girls, this set will keep makers engaged for hours building a magic portal, a working ladder bridge, a bucket lift and a secret compartment. This 275-piece craft kit turns curious and craft-loving kids on to engineering concepts, says Furstenberg. While GoldieBlox is known for story-based engineering kits that come with picture books, this kit encourages more open-ended play, though crafters can glean inspiration from weekly how-to videos at Blox Town. Smash! Let’s face it: Sometimes the best part of building is knocking it all down when you’re done. 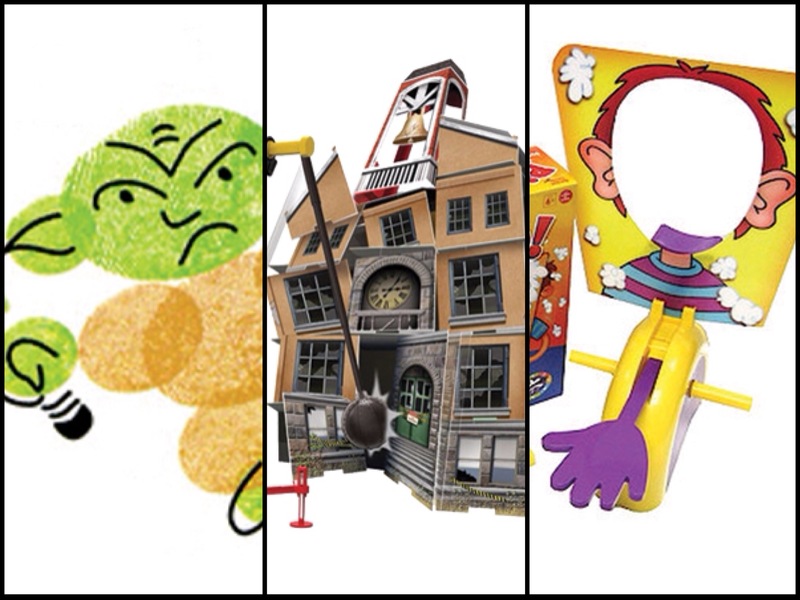 The latest addition to the best-selling, award-winning Demolition Lab line lets builders mix and match wall panels, floors and rooftops to construct one-of-a-kind buildings, then knock them down with the provided demolition wrecking ball, and learning about physics, momentum and problem solving in the process. This 300-piece set from Thames & Kosmos lets older kids play with physics principles by experimenting with gears, levers, screws, inclined planes, pulleys, wheels and axles while building 36 projects, including a Mars robot, windmill, two-speed crane, sail car and hammer machine. Builders learn about simple and compound machines along with basic physics equations; more complex projects, such as the pendulum clock, drive understanding of concepts like centrifugal force. Despite the surge of interest in science-based toys, unplugged or old-school playthings continue to be popular with families and kids. These toys cross over trends, spanning popular categories like collectibles and whole-family toys, says Ali Mierzejewski of The Toy Insider. These 2-inch fuzzy animal figures are growing steadily popular with little ones, says Carole Nolasco, of Seattle’s Top Ten Toys. 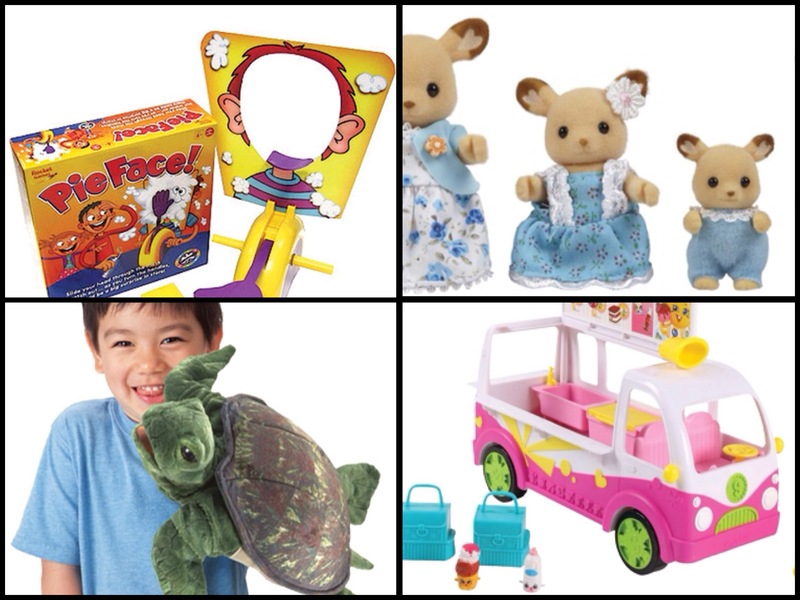 Parents can purchase a basic family set, picking from the adorable selection of woodland creatures, and grandparents and other family members can add to the collection with the Starter Home Cozy Cottage ($40), furniture such as a set of bunk beds ($10) and accessories like the Let’s Go Camping set ($22). Adorably plush and just lifelike enough, award-winning Folkmanis puppets put theater-quality stagecraft at kids’ fingertips. A favorite of The Toy Insider as well as film and television producers, these hand and finger puppets encourage open-ended play and help kids connect to the natural world. Pair a few of these with the Melissa and Doug Deluxe Puppet Theater ($90) or the HABA Doorway Theater ($50) for an unplugged gift sure to spark hours of old-fashioned play. Have a kiddo into the hot Shopkins trend? You’d better be quick; these tiny collectibles popularized on YouTube sell out within hours of landing on store shelves. This cute truck from the most recent Shopkins “season” is a great introductory Shopkins toy, with an umbrella stand, working wheels and two surprise Shopkins with shopping bags. This game is poised to be a big holiday hit (pun intended). It does exactly what the title says: After players spin a dial, a hand launcher splats one (un? )lucky player in the face with a whipped-cream pie (you can also use a sponge for less mess). You earn points each time you don’t get pied in the face. This is the perfect game for classic silliness with the whole family or a group of friends who need to blow off steam on a weekend afternoon.